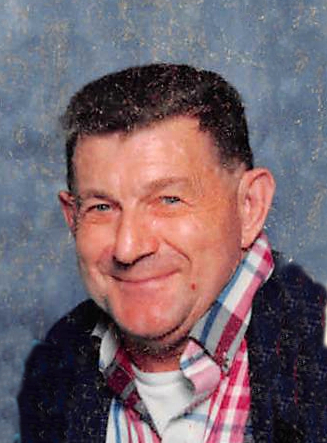 Chester G. Roberts, 85, of Connersville passed away Thursday evening, January 31, 2019, at Reid Health, Richmond. One of eleven children of Elihu and Lydia Reed Roberts, Chester was born January 1, 1934 in Owsley County, Kentucky and moved to Connersville as a young adult. On June 30, 1956, Chester married the former Wanda Lee Isaac of Connersville. Mrs. Roberts survives. As a Christian, he attended several local churches, and was employed at Design & Manufacturing in Connersville for over 35 years. In his leisure time, Chester enjoyed vegetable gardening, fishing and working on cars. Besides his wife of 62 years, Wanda Roberts, survivors include two daughters, Betty Jean “Jeanie” (Jeff Meyer) Gabbard of Cincinnati, Ohio, and Julia (Jean) Conner of Everton; two grandchildren, Valerie Marie Baker and William Zachary Gabbard, both of Connersville; seven great-grandchildren, Jeremy, Joseph, Ariana, James, Jordan, Rylan, and Amara; three siblings, Roy (Anna Mae) Roberts of Connersville, Alma Baker and Norma Lean Thomas, both of Owsley County; several nieces, nephews, and cousins. Chester was preceded in death by his parents; seven siblings, Cecil Roberts, Elmer Roberts, David Roberts, Bessie Hornsby, Bert Bowling, Hattie Bowling, Myrtle Estes; and a son-in-law, William Larry Gabbard. Family and friends may call from 1:00 until the time of service at 3:00 p.m. on Tuesday, February 5, 2019, at Blooming Grove Family Worship Church, 15001 Stone Church Rd, Brookville, Indiana. Reverend Tom Marshall and Reverend Jeff Hensley will officiate. Burial will follow in Everton Cemetery. Miller, Moster, Robbins Funeral Home has been entrusted with the arrangements.